With over 36 years of experience in all areas of mortgage lending, Gary well represents the core values of Residential Mortgage Corp. He has always been deeply involved in his community and has served as both Chairman and President of the Greater Fayetteville Chamber of Commerce, board member of the Cumberland County Partnership for Children and Chairman of the Military Affairs Council. Gary was named an Honorary Member of the 82nd Airborne Division and Honorary Commandant for the USAF Combat Control School. He also attended the Air Force War College in 2009. 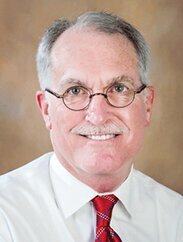 He has most recently served as Governor of the Carolinas District of Kiwanis International and previously as Distinguished President of the Kiwanis Club of Fayetteville and Distinguished Lt. Governor of Division 11 of the Carolinas District. Gary has a BS in Business Administration.